Creative expression is a natural inclination of the human spirit. All human beings have the ability to commune with musical language as a medium for creativity. Everyone has the capacity for active engagement with the piano. I have never required the demonstration of exceptional talent or strong aptitude for music in order for someone to study with me. I welcome those who possess a love for music coupled with the sincere desire to commune with the piano. Piano instruction is available for all ages. I welcome advanced students, aspiring professional pianists and beginning students alike. 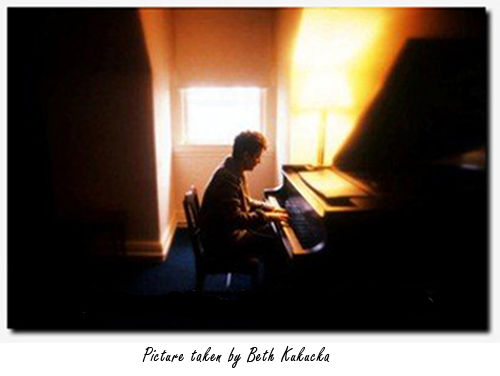 I coach and prepare aspiring career pianists for university and conservatory studies. I teach adults who are returning to the piano after a long intermission, having studied in their youth. Some are drawn to piano studies for self-healing and personal enrichment. I design each person’s curriculum interactively, based upon their particular interests, goals, needs and aspirations. As a pianist and teacher of diverse background and education, I offer a wide palette for musical exploration. Music has resounded in the cosmos since before the beginning of time. We are by nature, inherently musical. That is, our DNA possesses energetic material naturally responsive to the various tones, sounds, inflections and vibrations that resonate throughout the universe. The natural world is a symphony unto itself comprised of melody, harmony and rhythm. Music and nature form an intimate vibratory network. Thus, musical studies cultivate one’s attunement and relationship to the earth. The piano serves as a gateway to positive energy as it raises our own physical, mental, emotional and spiritual vibrations allowing vitality to flow throughout our daily lives. Involvement with this marvelous instrument contributes to our holistic wellness. Simply put, music is life enhancing. When we sit at the piano and create music, or even sound a few notes, we are lavishing upon ourselves the positive vibrations that facilitate health, healing and happiness. We are actively creating atmosphere and beauty within our immediate environment. In a world which often pulls us away from our authentic self, music brings us back to our true nature, allowing intimate connection to our uniqueness. I encourage my students to embrace the process and relish the journey. Joy and fulfillment are derived from being in the moment with the music; for the process of learning music is an instructional experience that pertains to all of life. I am here to guide and assist students in making music. I make it possible to experience music’s benefits and joys as I facilitate the creative process, sharing my experience of the wonders and enchantment of the piano. My hope is that they will play it forward. The Piano Studio of Donna Greco is conveniently located in the beautiful Squirrel Hill neighborhood of Pittsburgh. Parking is readily accessible. A short walk will take you into the business area where numerous shops and coffeehouses are available for your enjoyment while your child takes a lesson. As serendipity would have it, the studio is located in the former home of world renowned conductor, Maestro Lorin Maazel. Lessons are conducted on beautifully tuned and maintained Kawai pianos. The room is open and spacious, bright and inspiring, with original artwork and plenty of natural light.